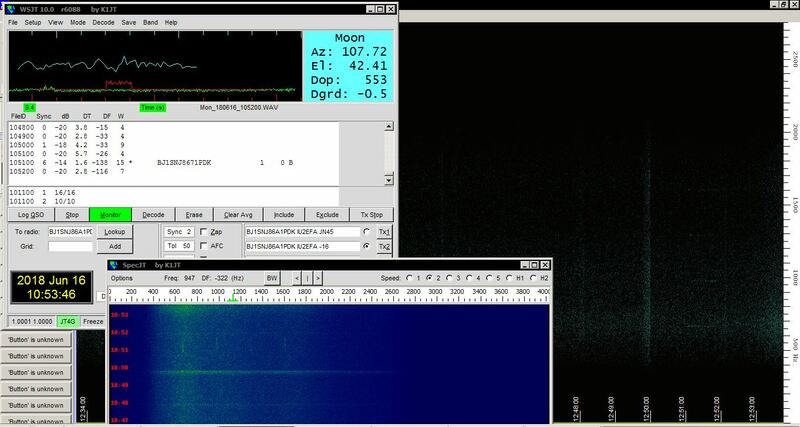 Orbiting moon since 25 May 14:08 UTC! 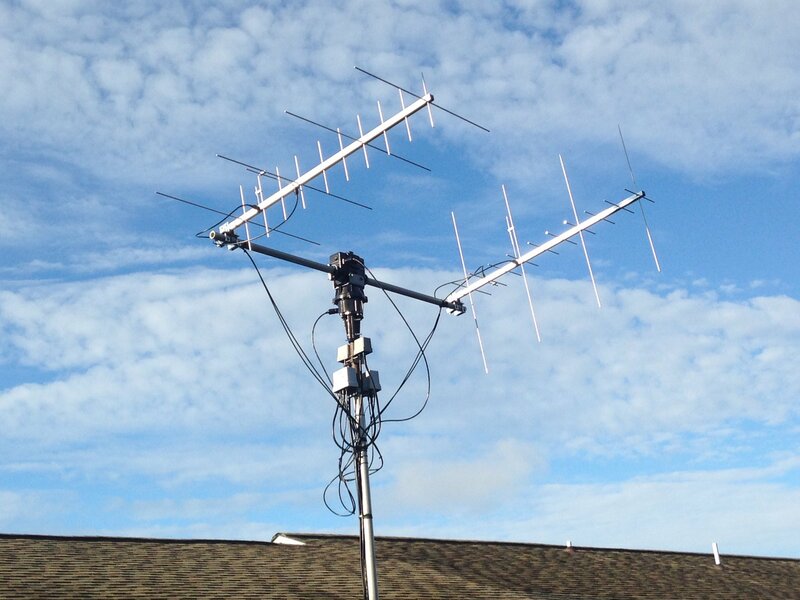 Here is a collection of configurations of radio amateurs who have successful DSLWP downlink reports. 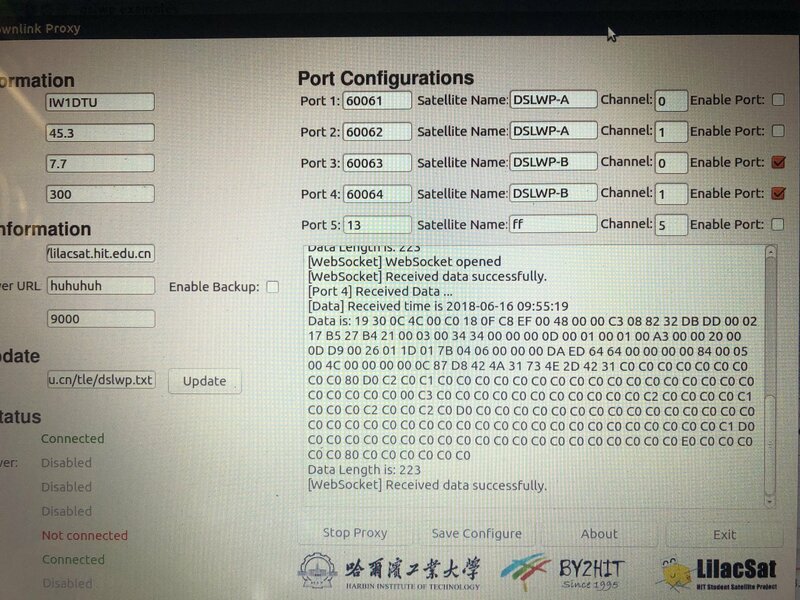 Please contact bg2bhc#gmail.com for any update. 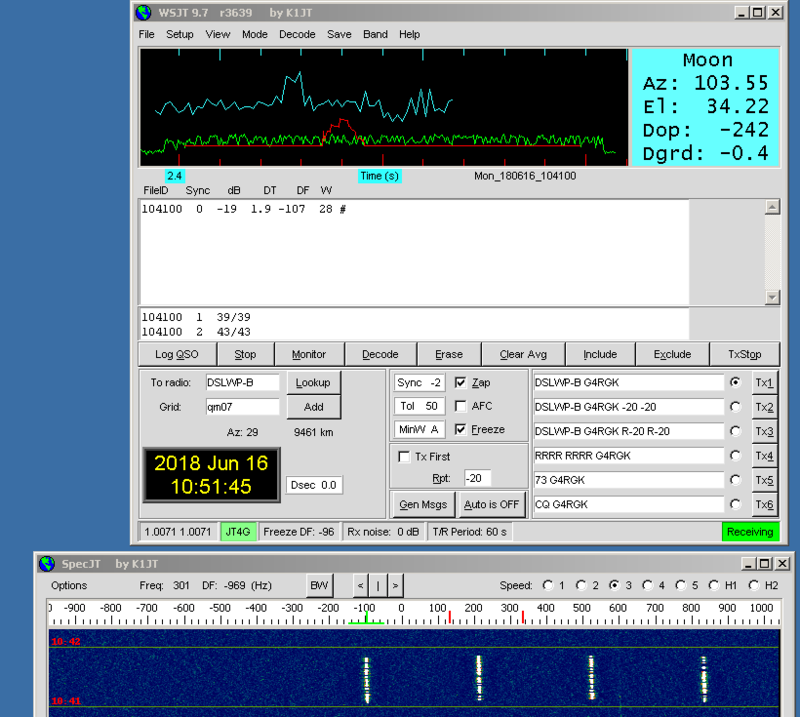 Catched the first signals from DSLWP-A at 2018-05-20 22:15 UTC and DSLWP-B at 2018-05-20 22:20 UTC by waterfall. 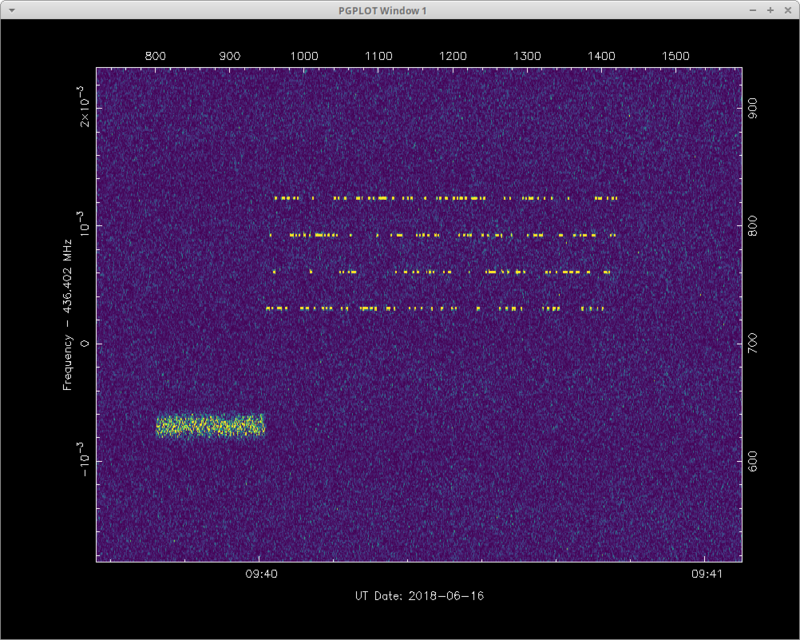 Successful decoding until 2018-05-21 02:35 UTC, then UHF transmitter is turned off. 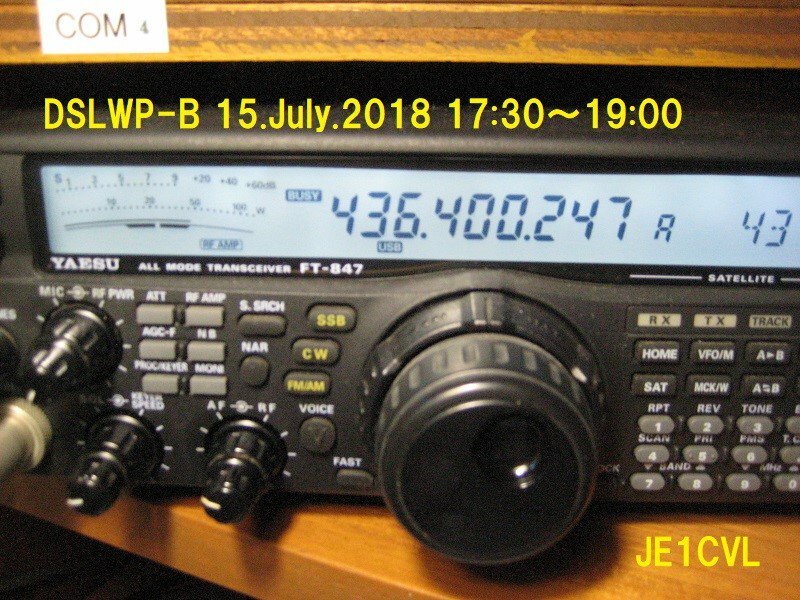 Max range ~67500 km. 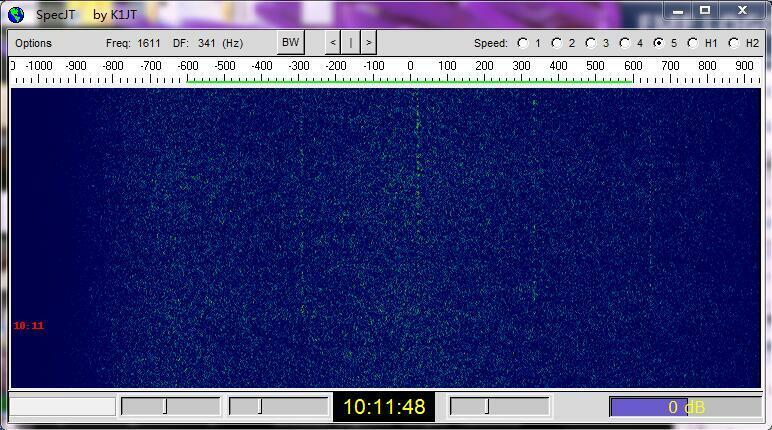 The second radio amateur to catch the UHF downlink of DSLWP. 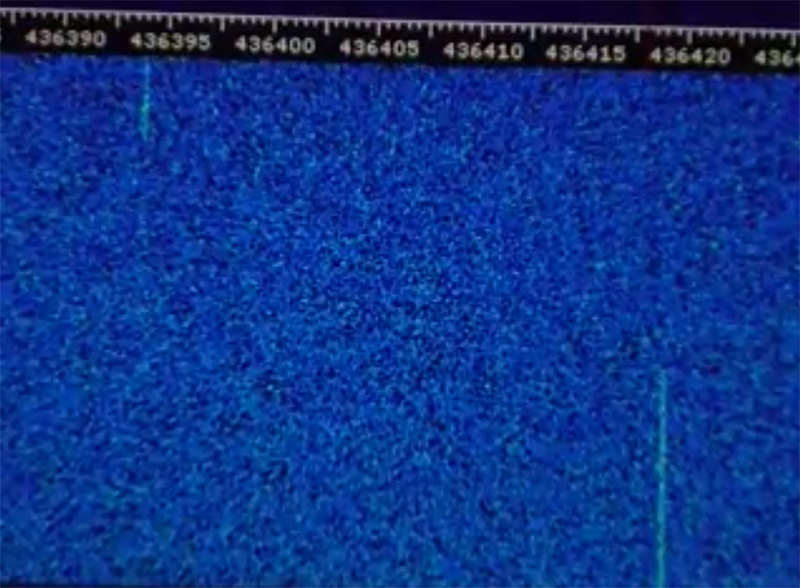 20 Jun: Found trace on waterfall but decoding is not successful. 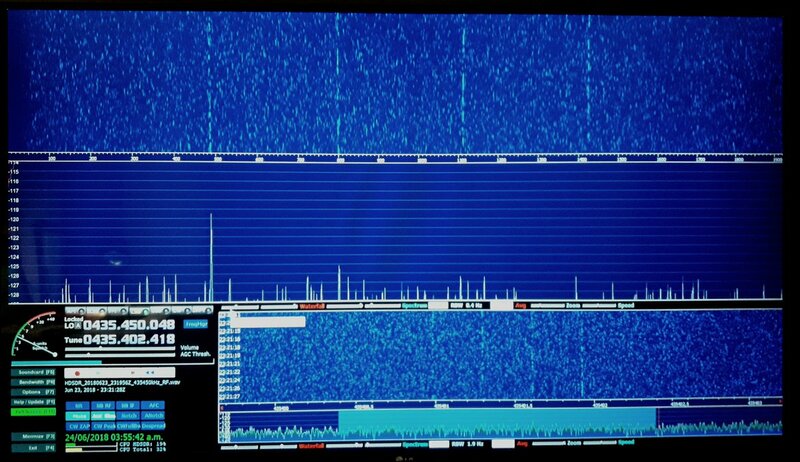 The third radio amateur to catch the UHF downlink of DSLWP. 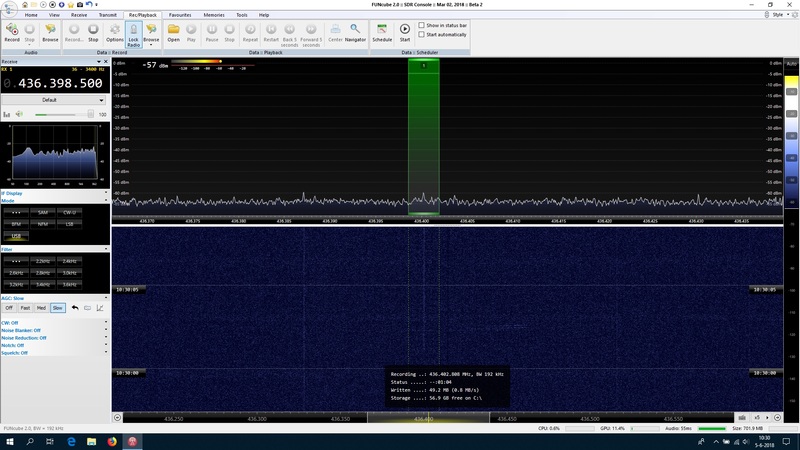 16 Jun: Found trace on waterfall but no trial for decoding with FunCubeDongle pro. 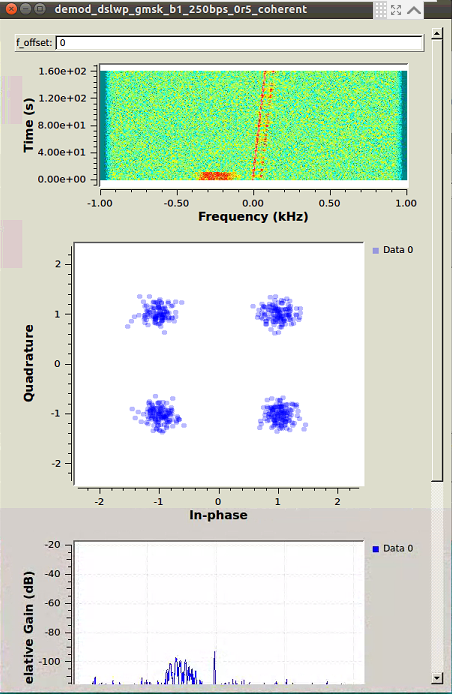 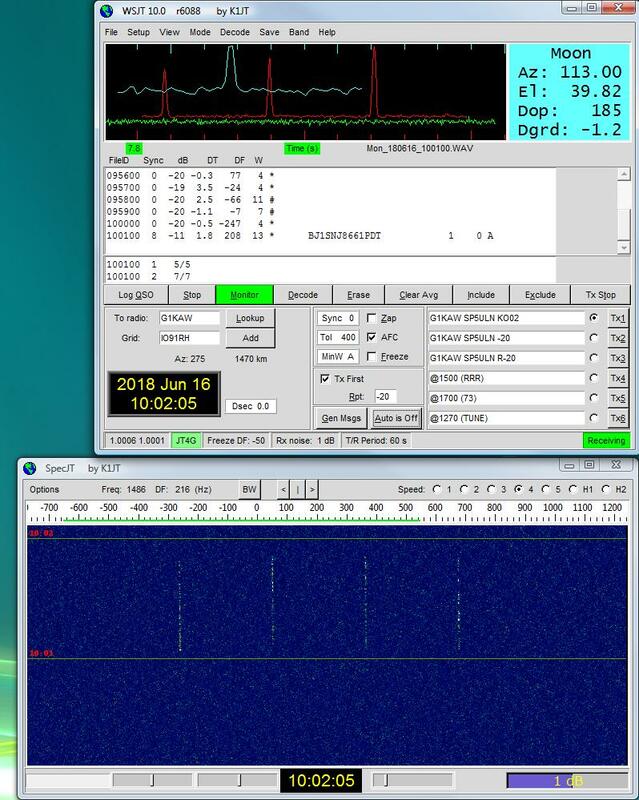 23 Jun: Successful JT4G decoding. 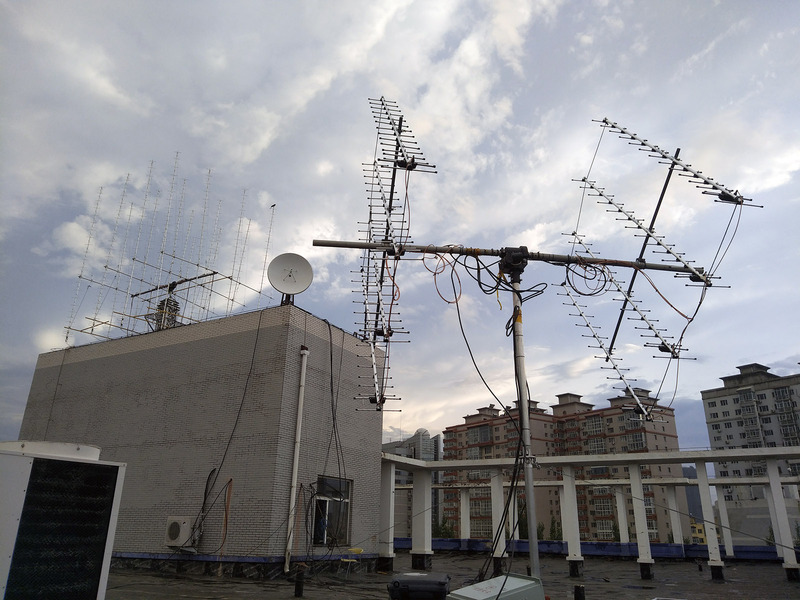 Old 12m C-band dish for INMARSAT TT&C in Shahe, Beijing. 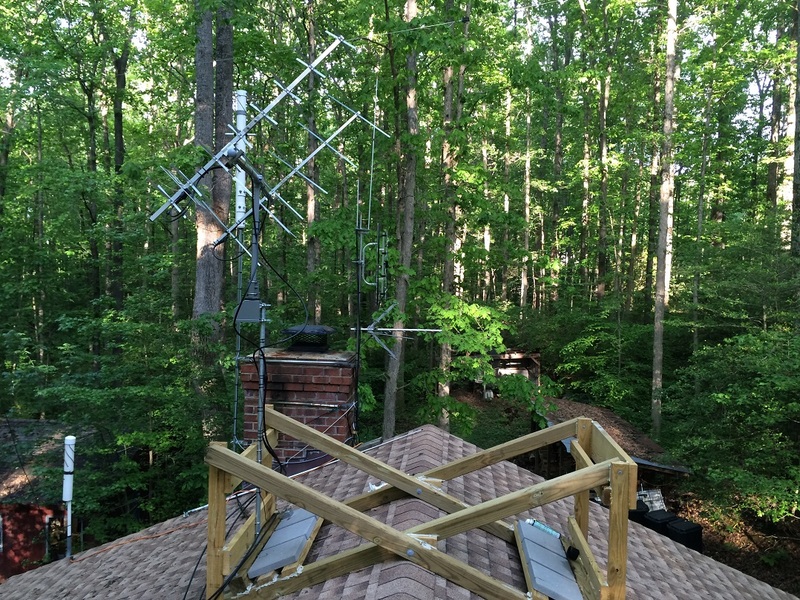 Modified by BY2HIT team for UHF and S-band reception. 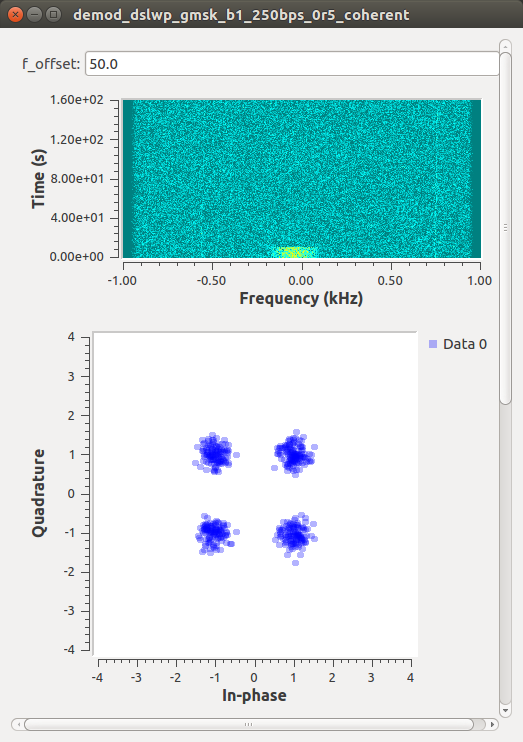 VK3UM feed phased for circular polarization, then DCI-435-10C band pass filter, and SP-70 preamplifier. 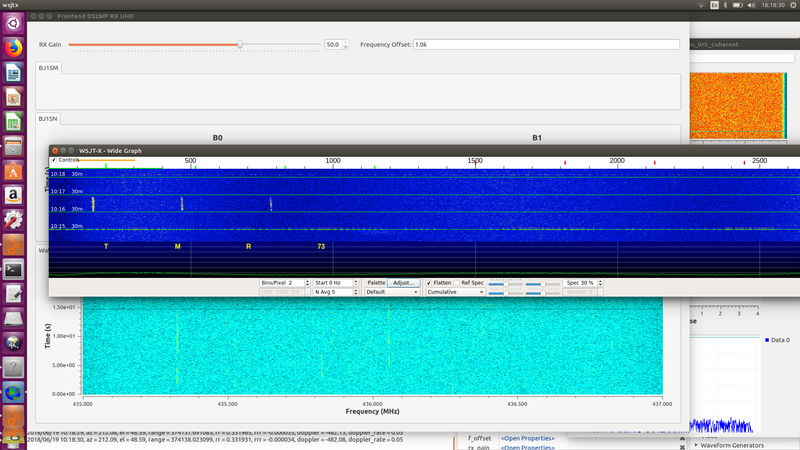 USRP B210 SDR with onboard GPSDO for time and frequency reference. 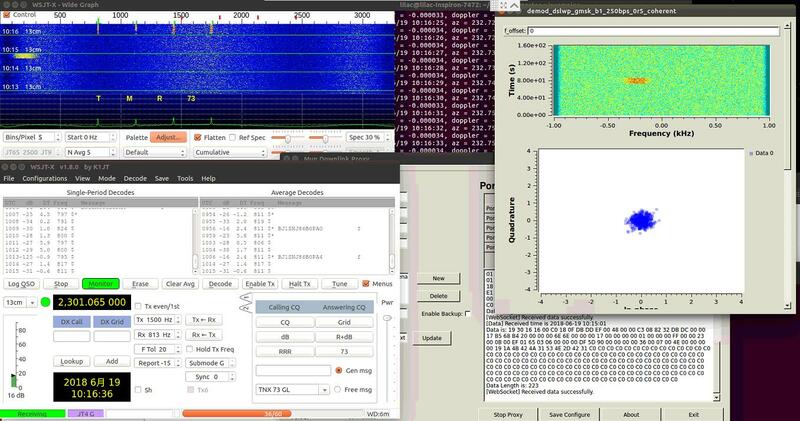 First decoding on 23 May 12:20 UTC, ~321500 km. 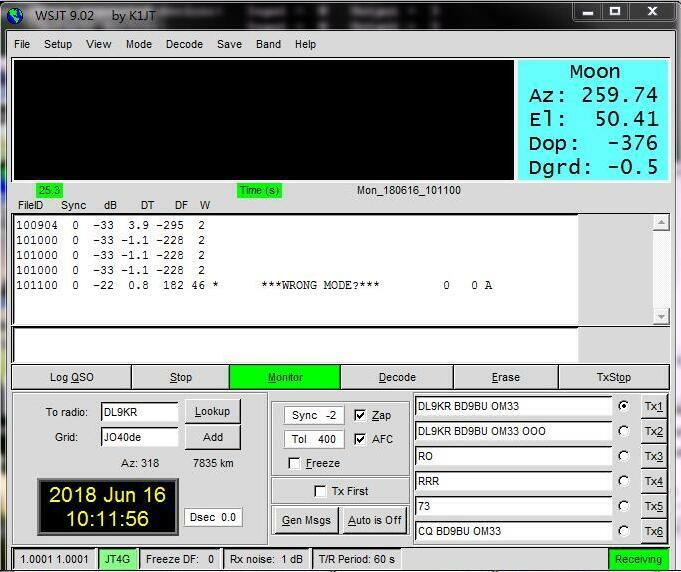 2 Jun 22:00 UTC, first decoding after lunar orbit insertion. 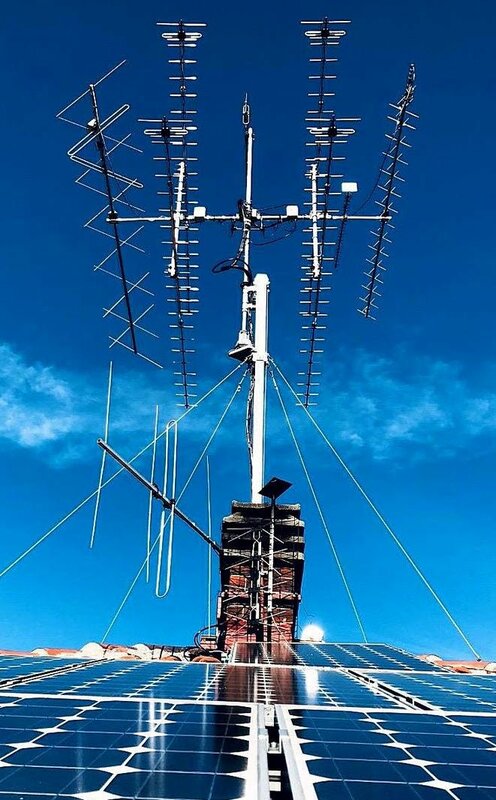 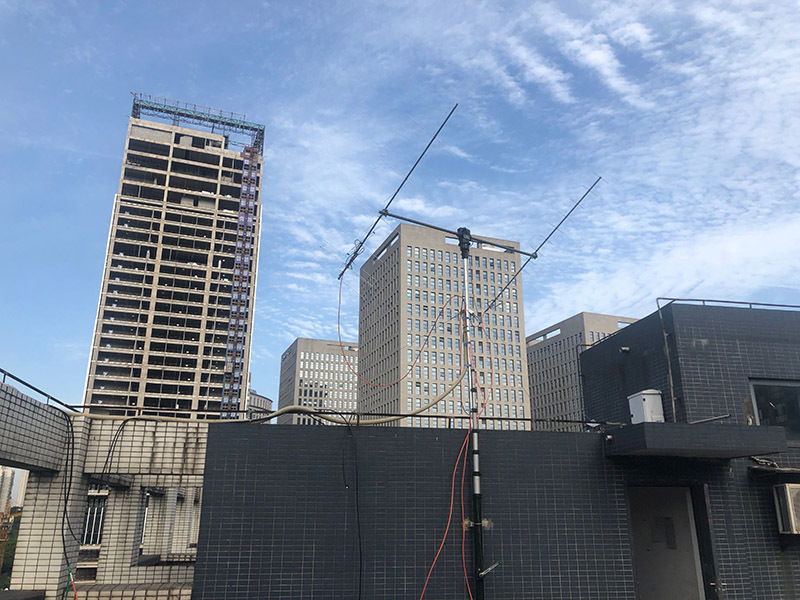 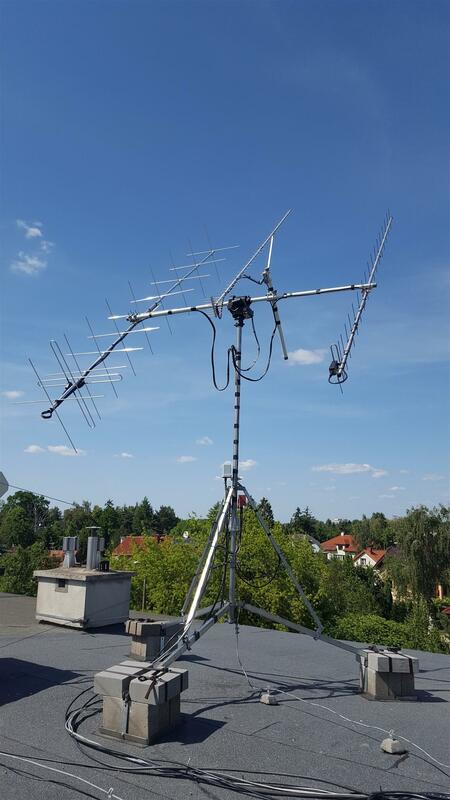 4 × 23 el DK7ZB yagi, helical filter and preamplifier on rooftop. 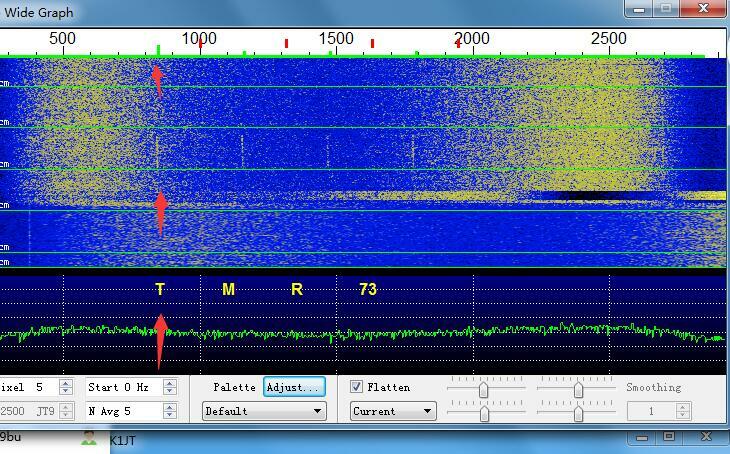 Found trace on waterfall on 23 May but decoding is not successful. 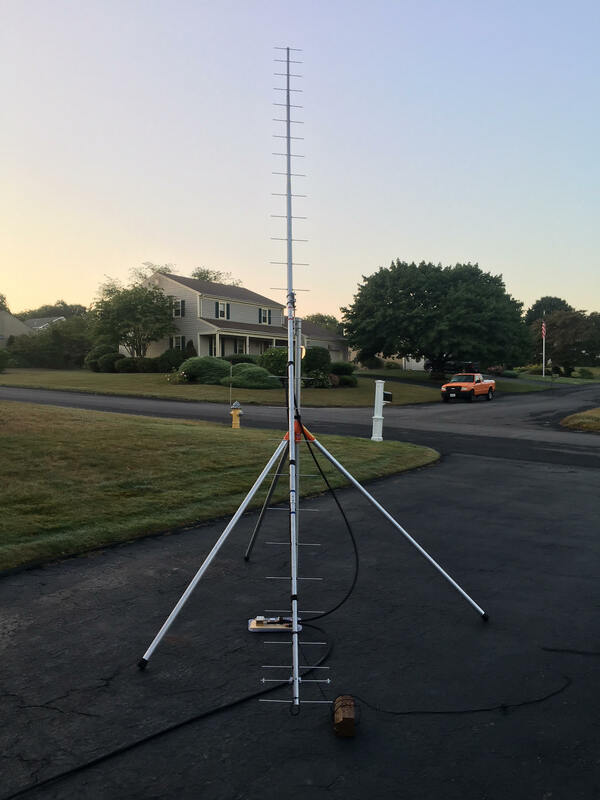 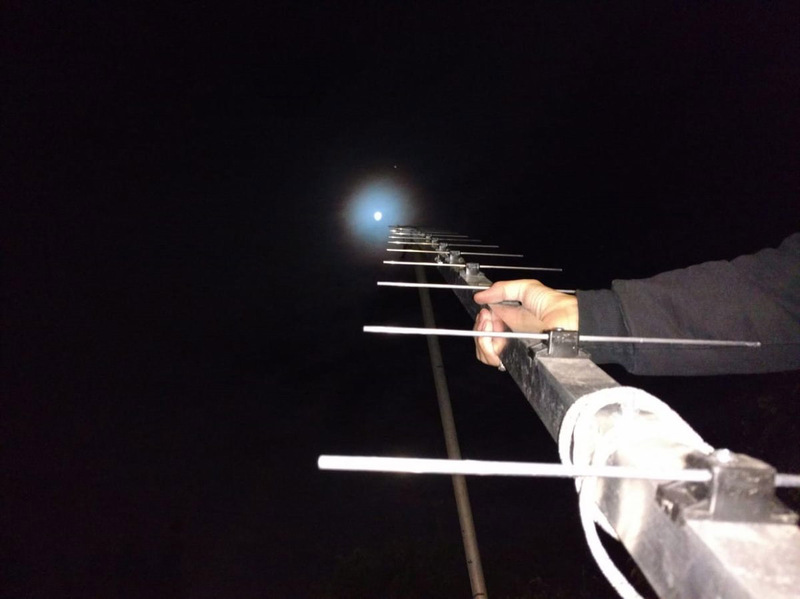 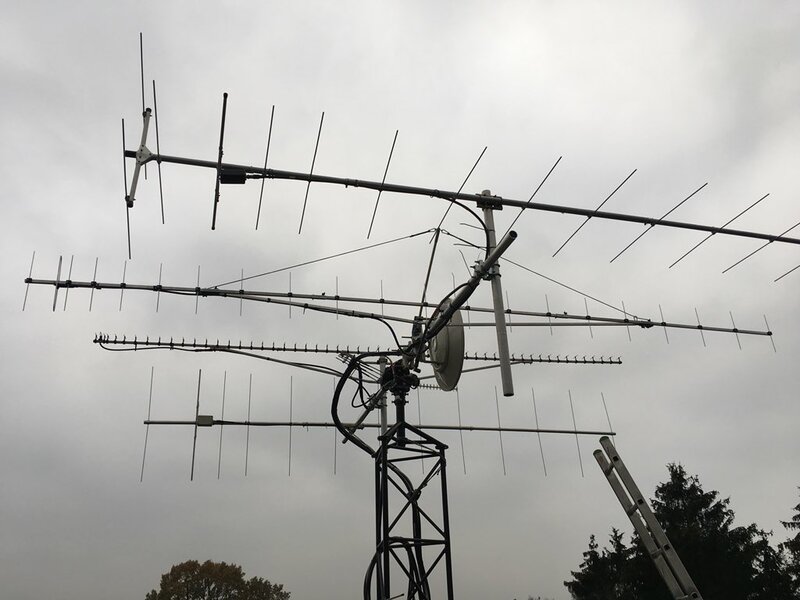 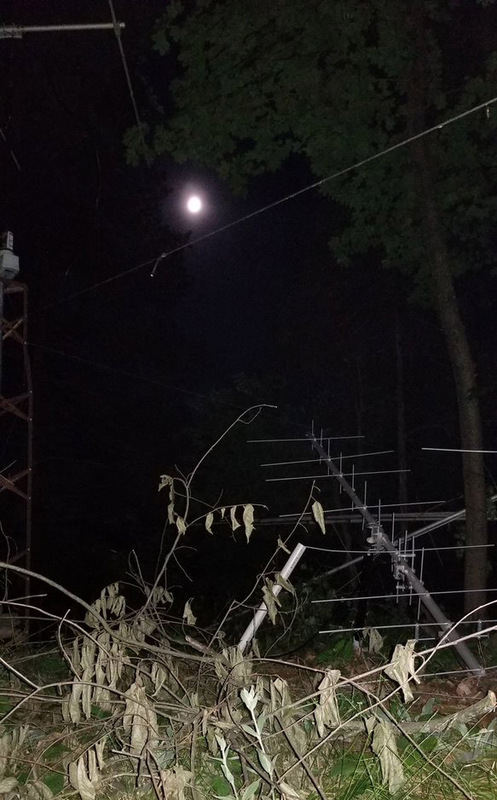 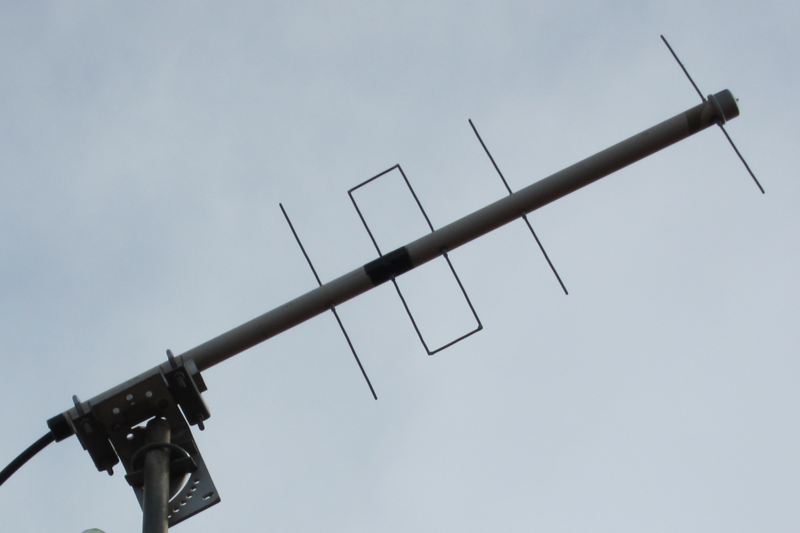 19 el yagi, LNA and RTL-SDR. 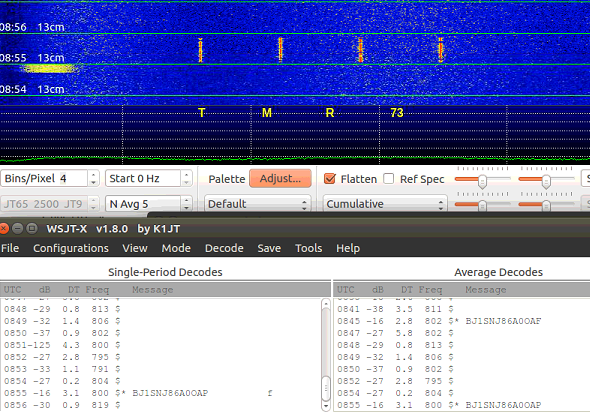 Found trace on waterfall and partial successful decoding (too many error bits) on 3 Jun, 8 Jun and 11 Jun. 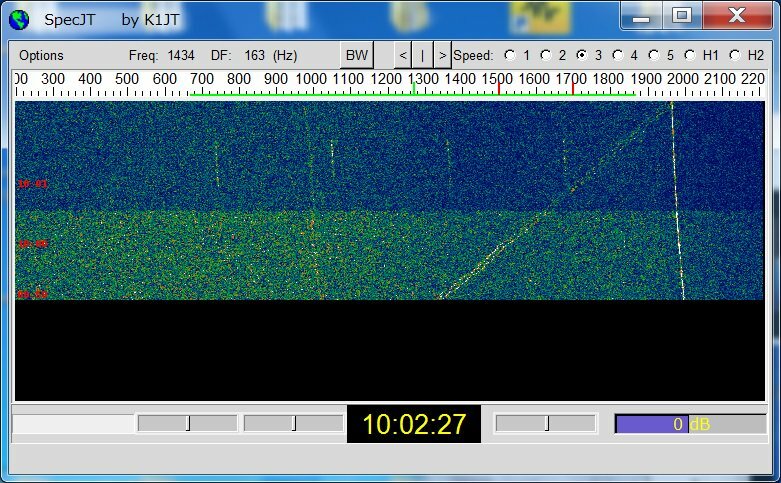 Successful JT4G decoding on 16 Jun. 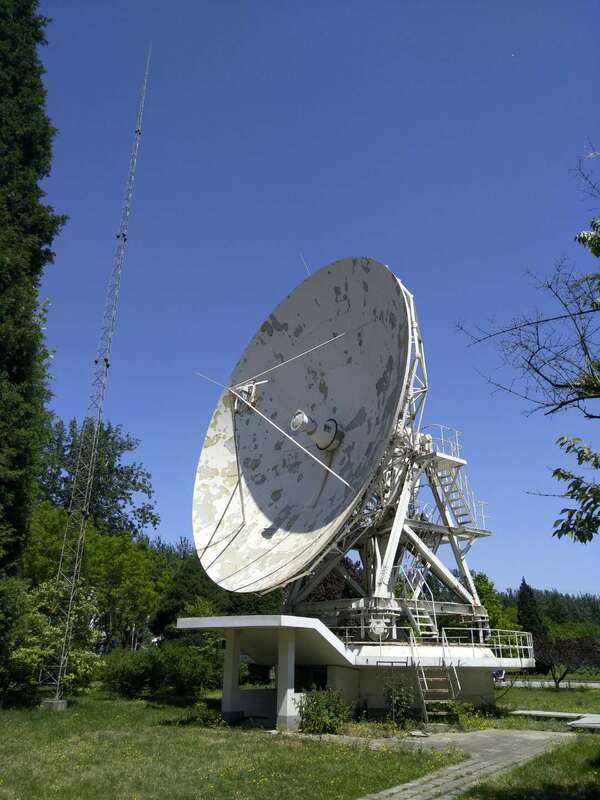 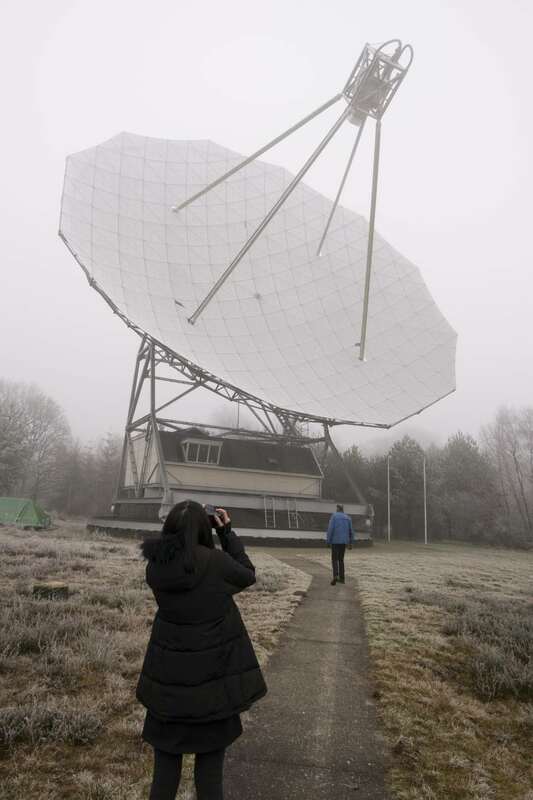 Dwingeloo telescope, 25m dish antenna. 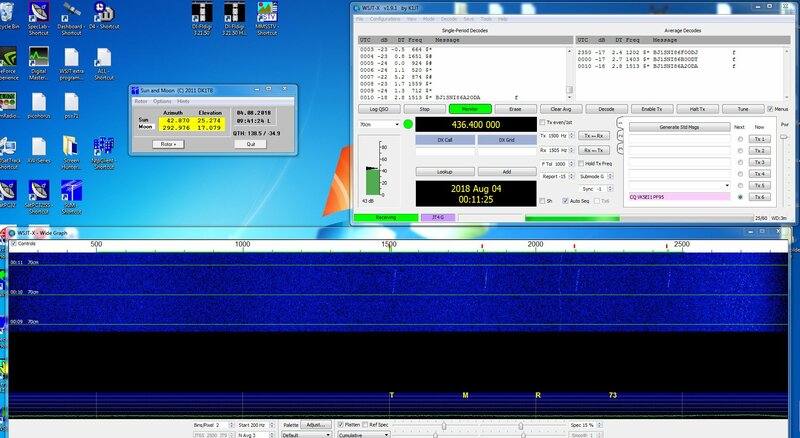 First GMSK decoding on 3 Jun. 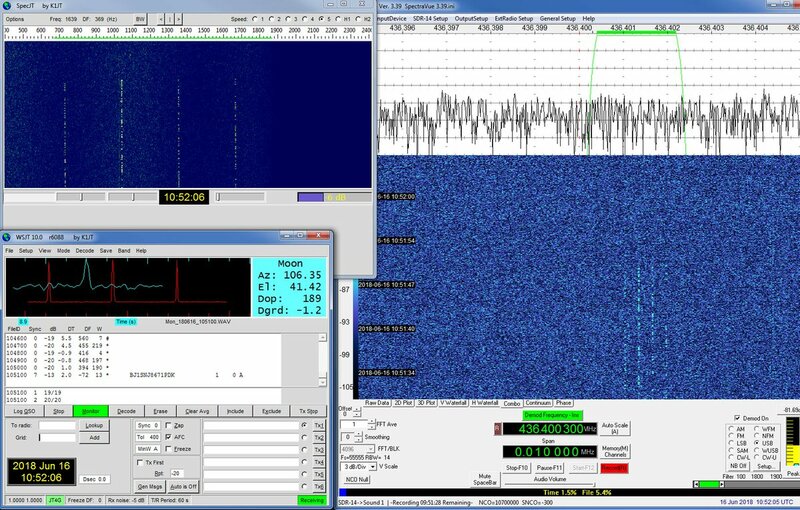 Successful JT4G reception on 16 Jun but no trial for decoding. 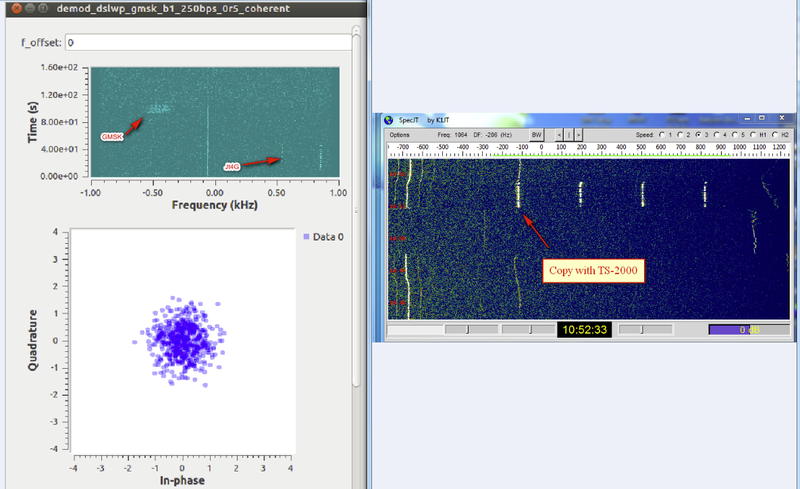 Received first image frames on 4 Aug, shows Mars. 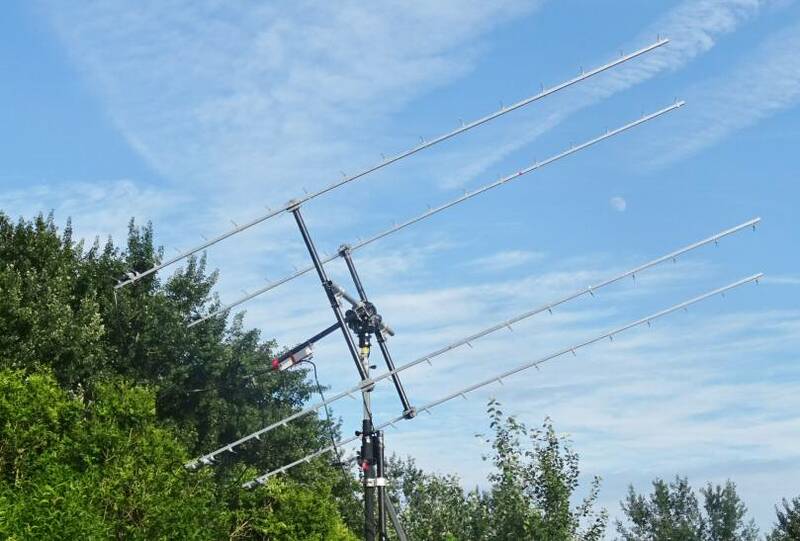 Great thanks to Cees, Jan PA3FXB, Harry PE1CHQ, Tammo and Paul! 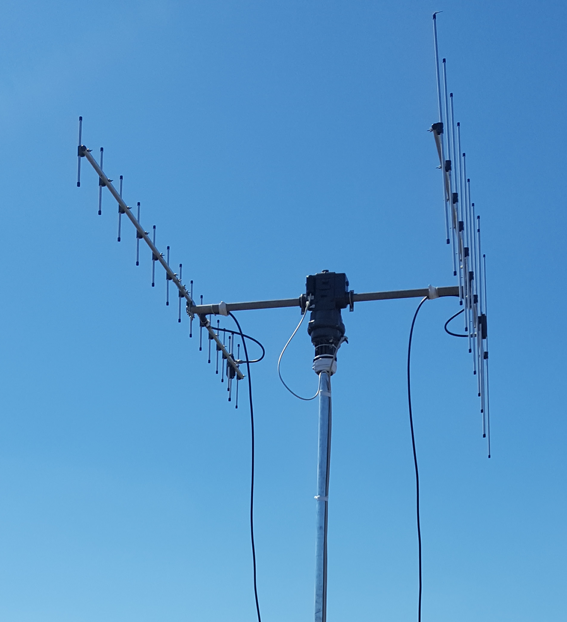 436CP42UG & SP70 432MHz Masthead Preamplifier, on the roof, 6m boom away from the roof top. 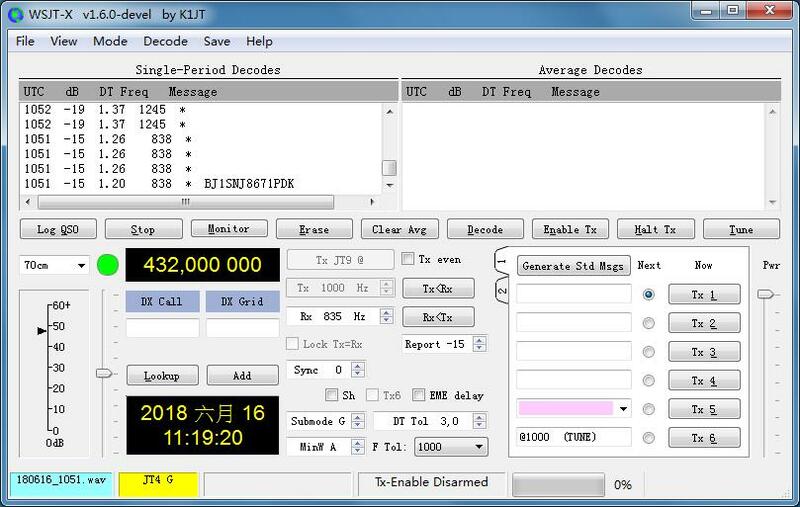 Found trace on waterfall on 3 Jun but decoding is not successful. 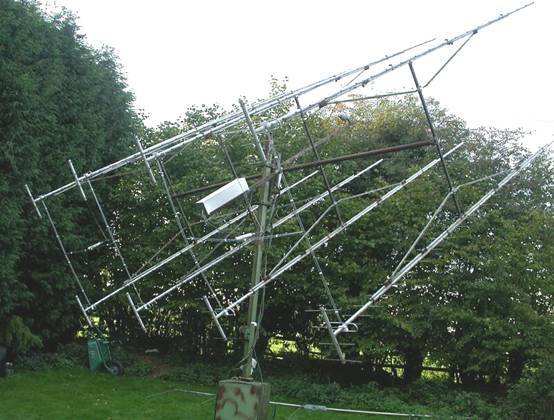 28 el DK7ZB yagi, horizontal polarization. 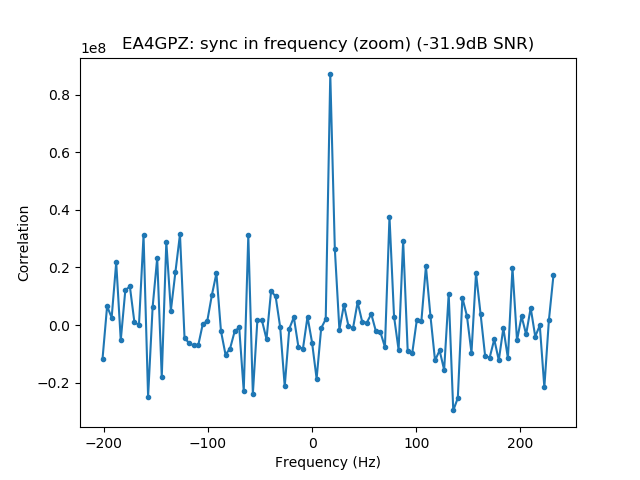 SSB electronics preamp with a NF of around 0.8 dB. 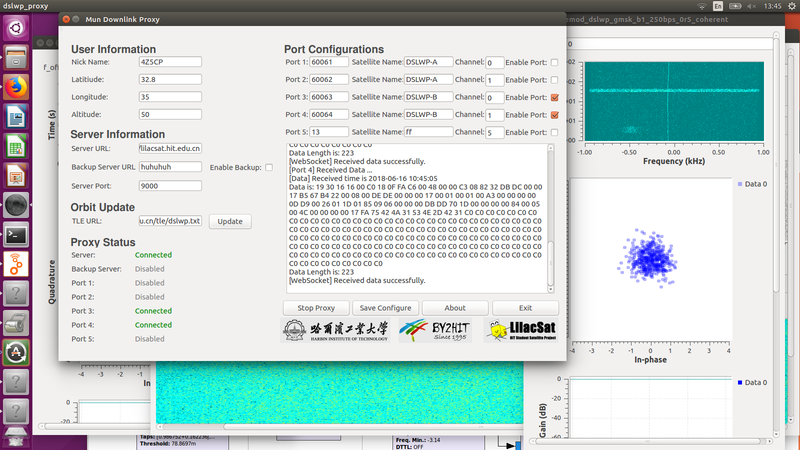 Fun Cube Dongle & SDR Console V3. 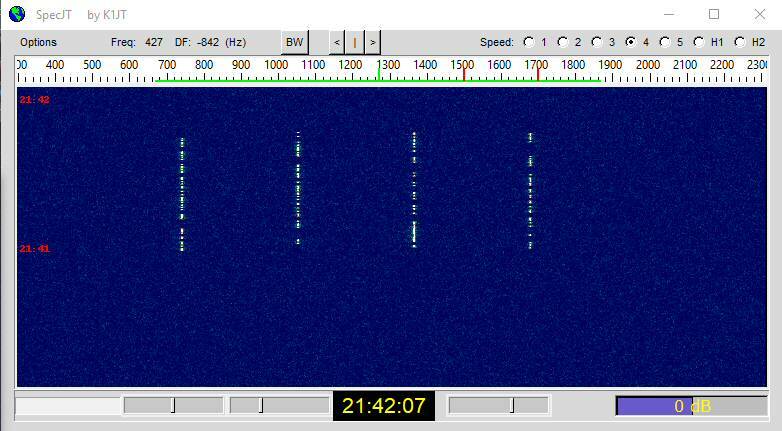 Found trace on waterfall on 5 Jun but no trial to decode. 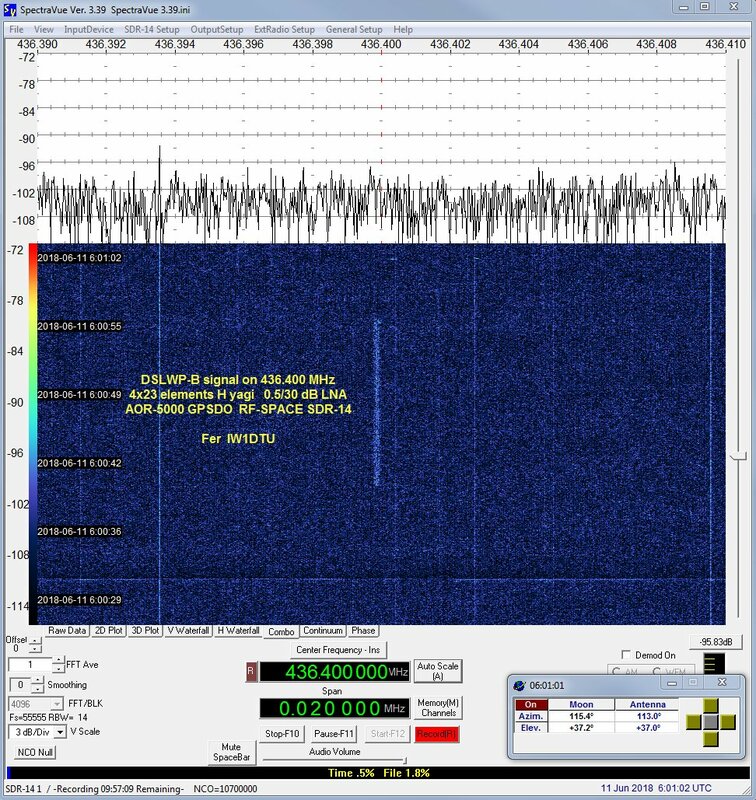 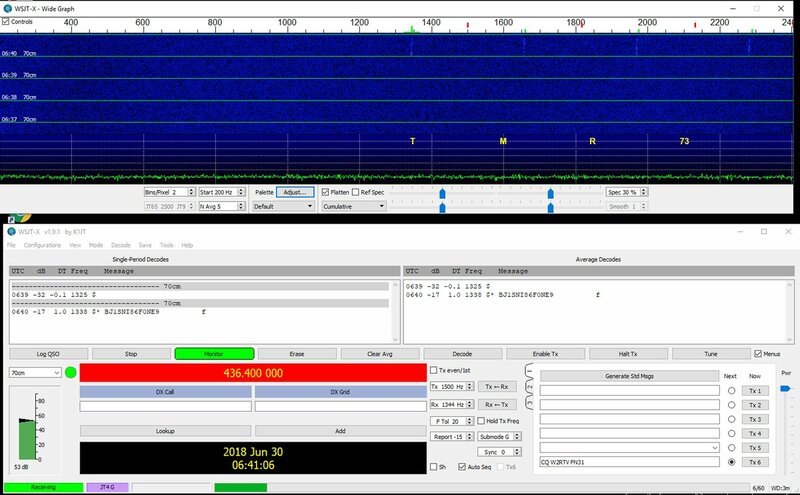 8 Jun: FT-736R + SDR-IQ (IF 13.68 MHz). 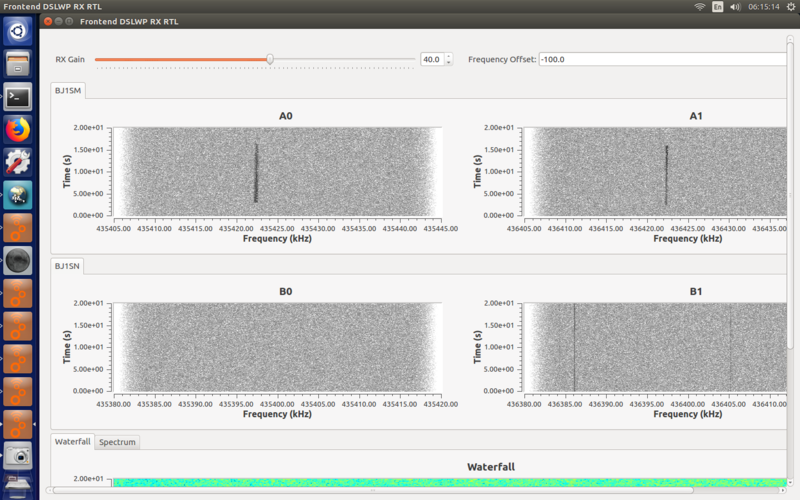 Found trace on waterfall on but no trial to decode. 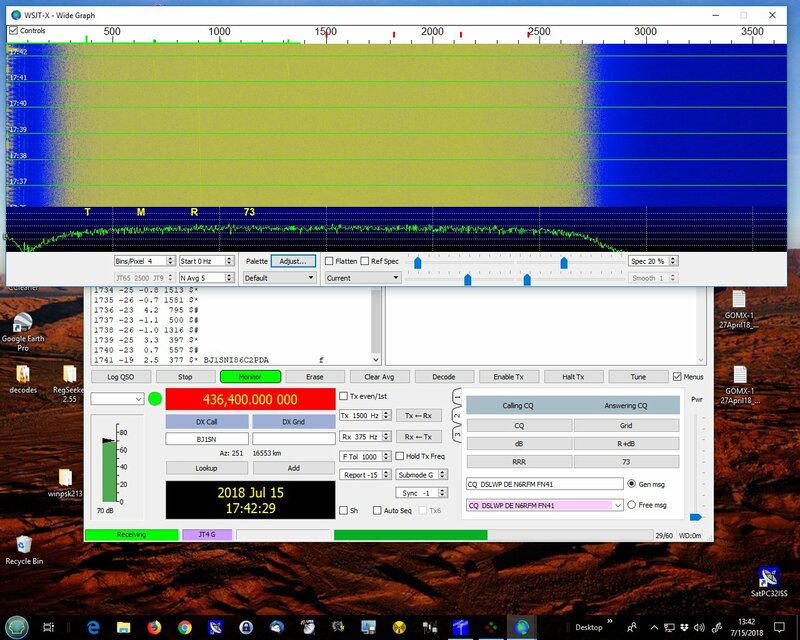 10 Jun: FT-736R + SDR-IQ (IF 13.68 MHz), Airspy and RTL-SDR. 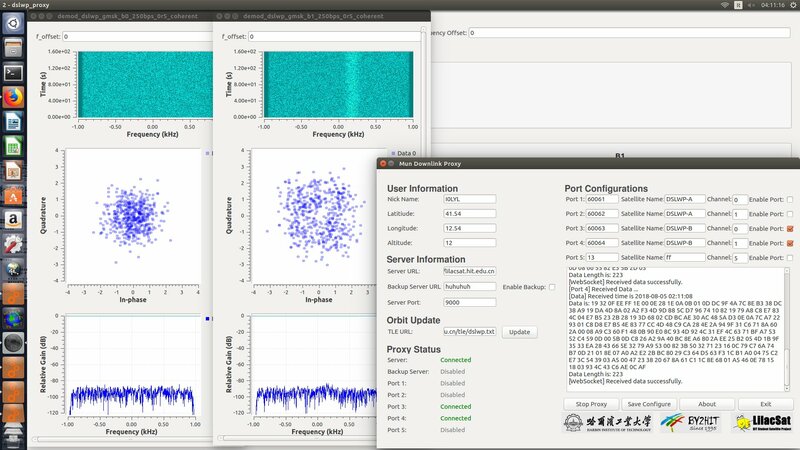 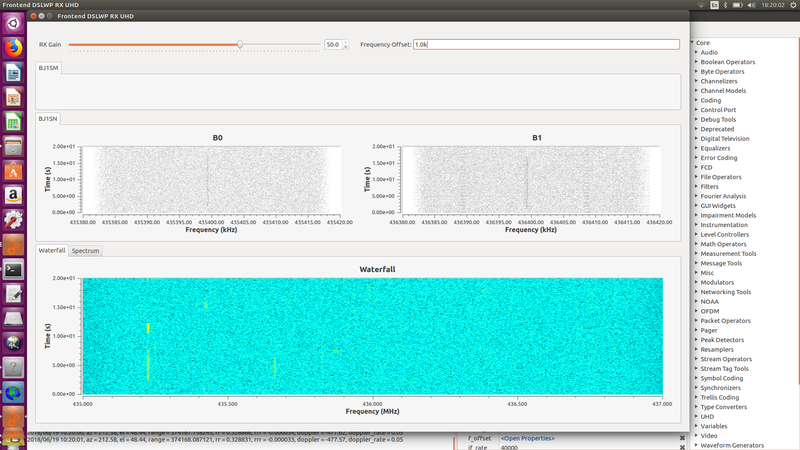 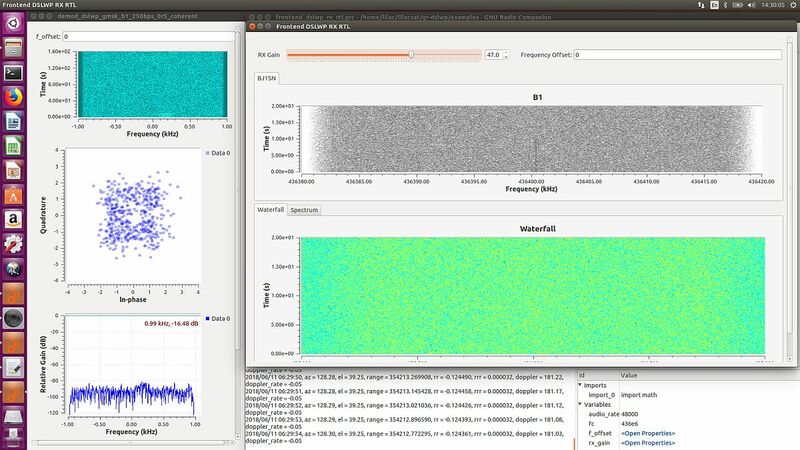 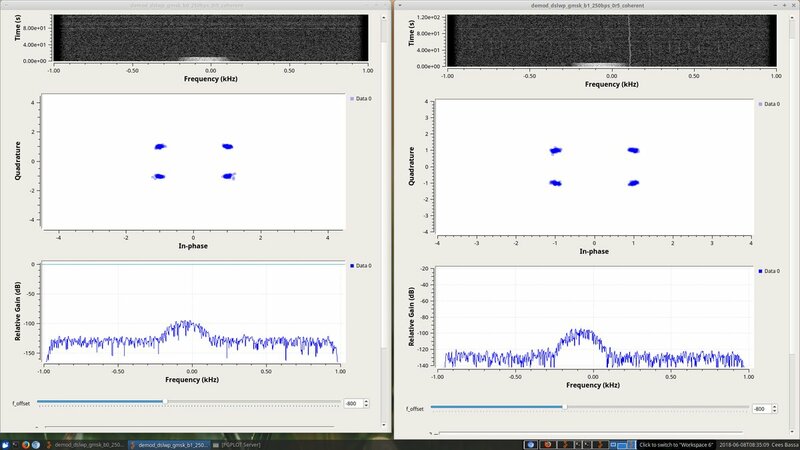 Airspy IQ recordings successfully decoded with the help of EA4GPZ. 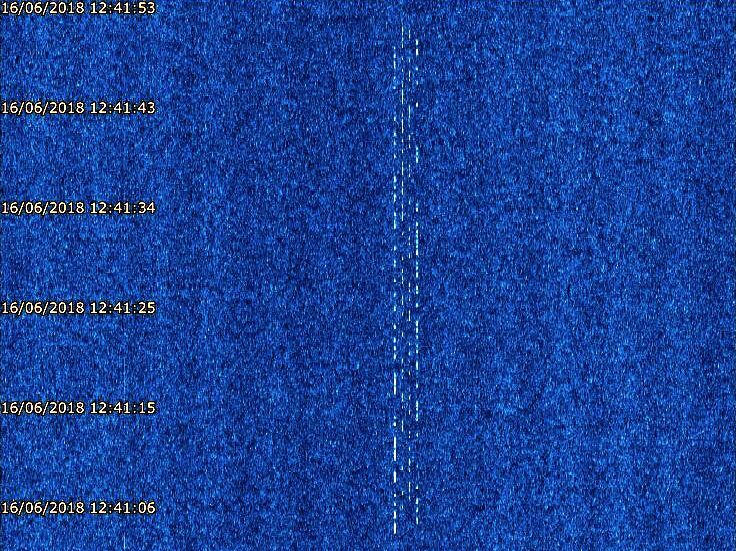 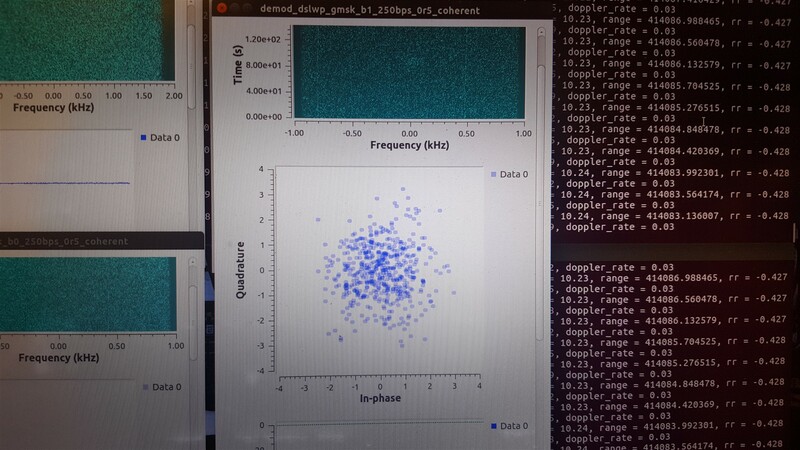 11 Jun: 23/25 B1 beacons decoded with RTL-SDR. 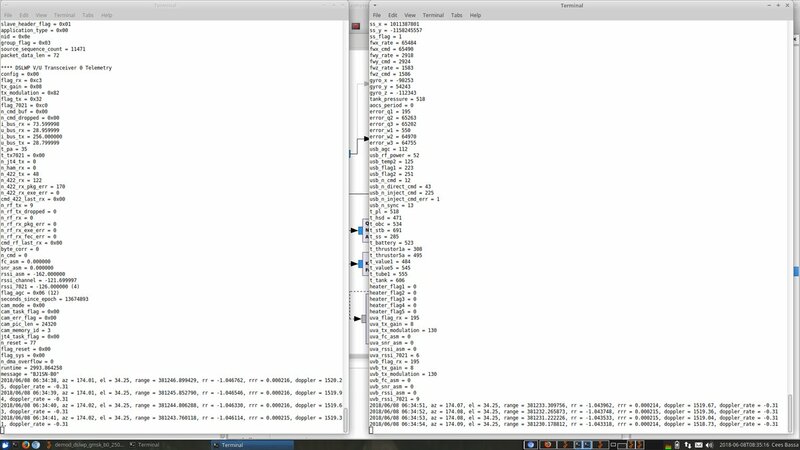 Great thanks for the windows decoding software! 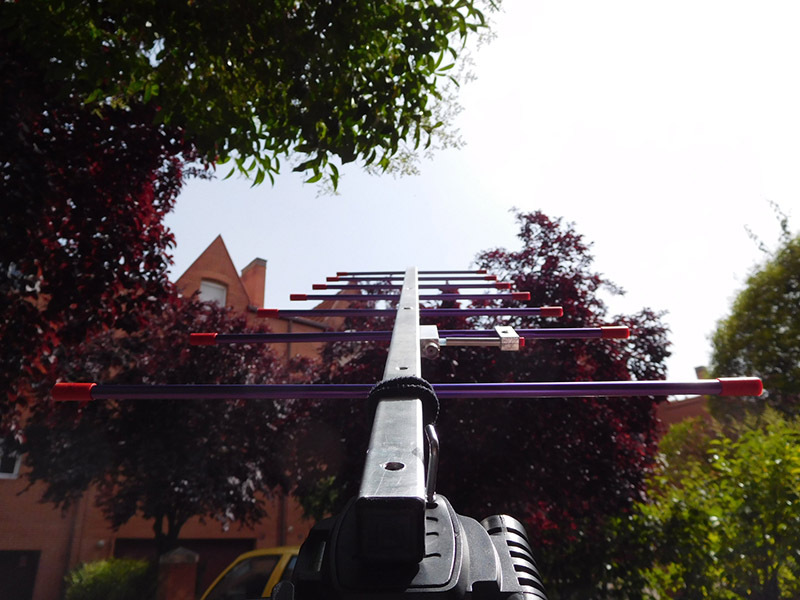 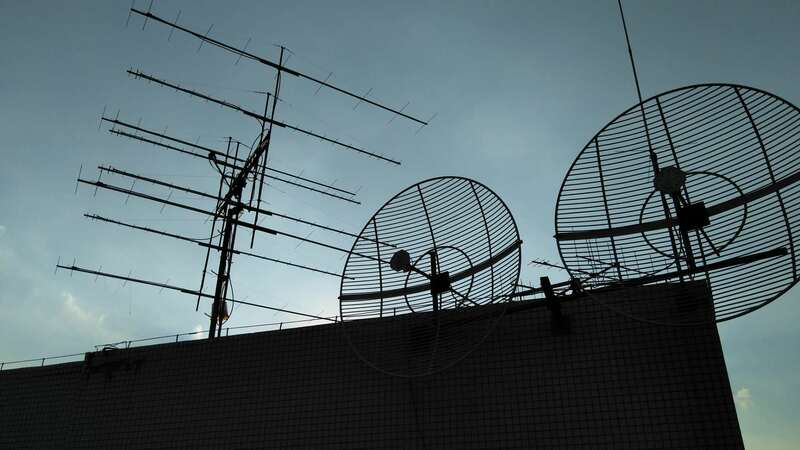 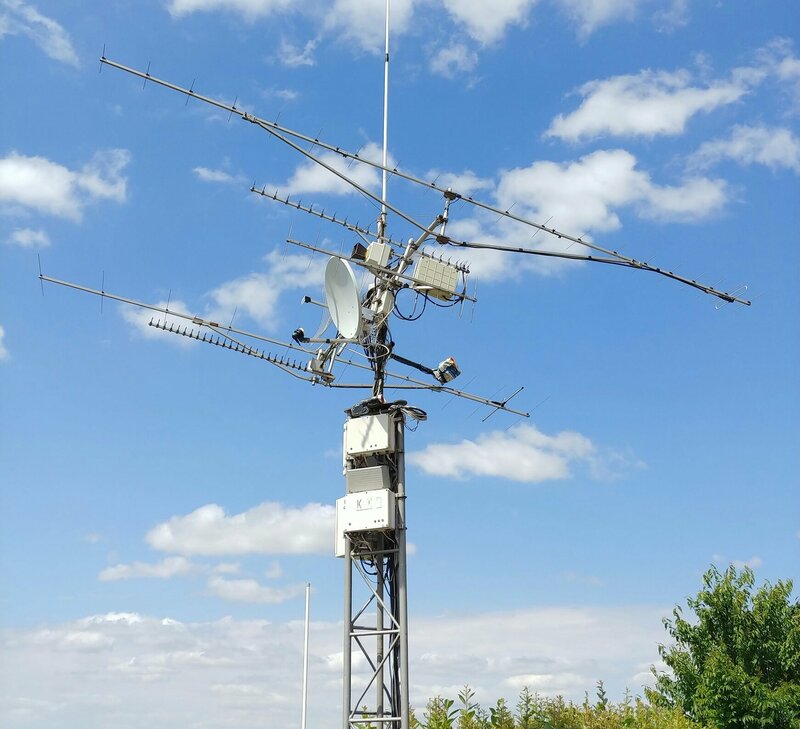 4x23 el yagi, horizontal polarization, theoric gain 23 dBi. 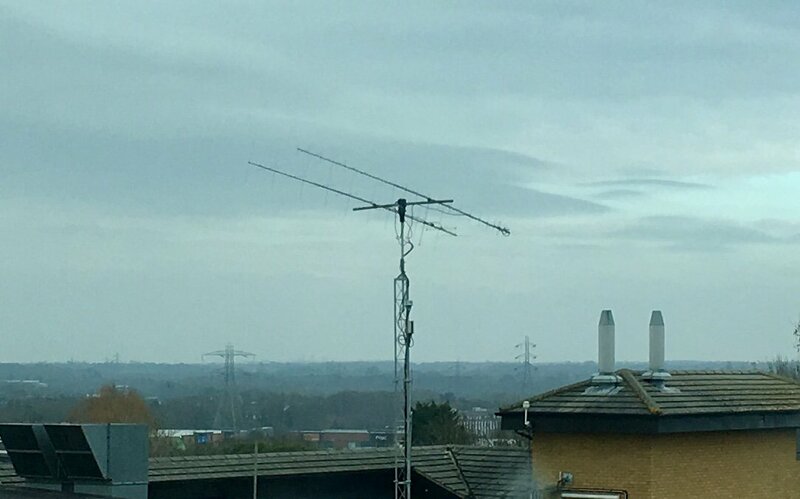 0.5/30 dB LNA, 30m Aircom coax cable. 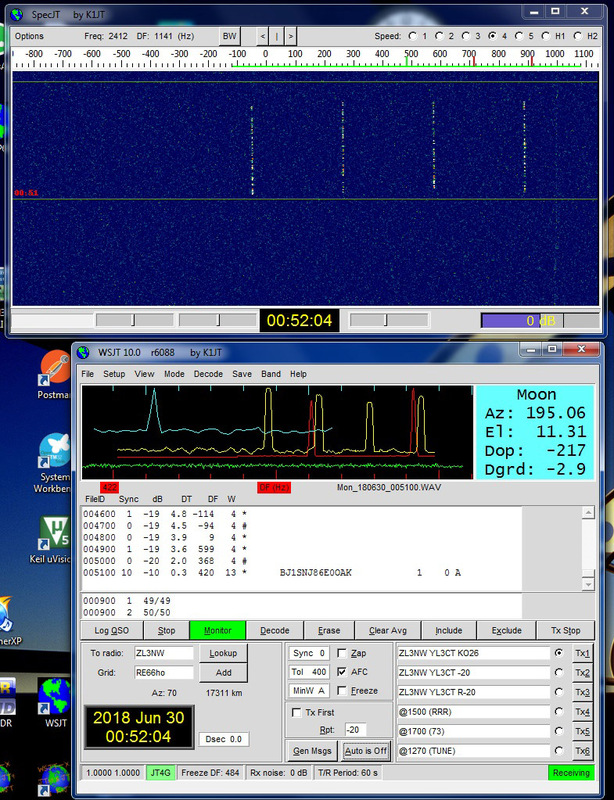 AOR-5000 receiver with GPSDO (Leo Bodnar) at 10 MHz and SDR-14 as panadapter. 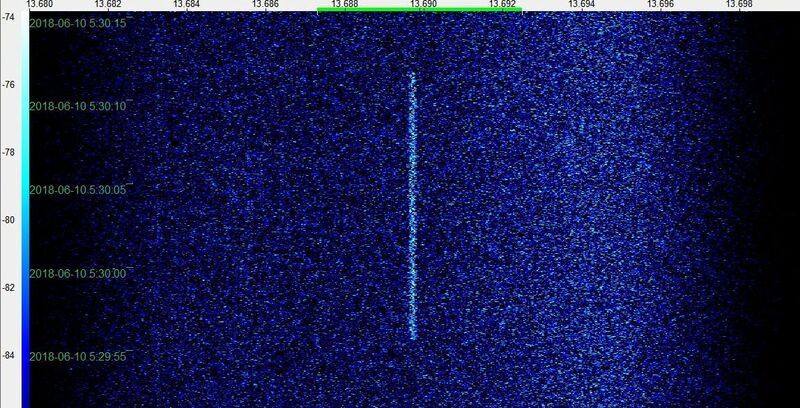 11 Jun: Found trace on waterfall but no trial to decode. 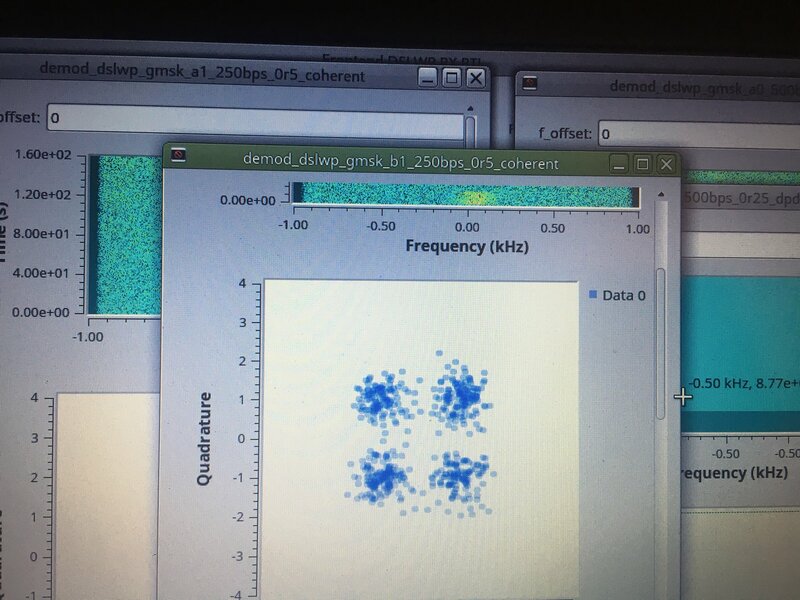 16 Jun: Successful JT4G and GMSK decoding. 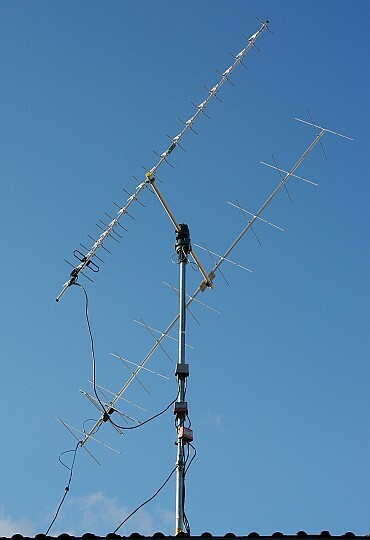 4 × 16JXX70 antenna, homemade LNA ~0.3dB NF. 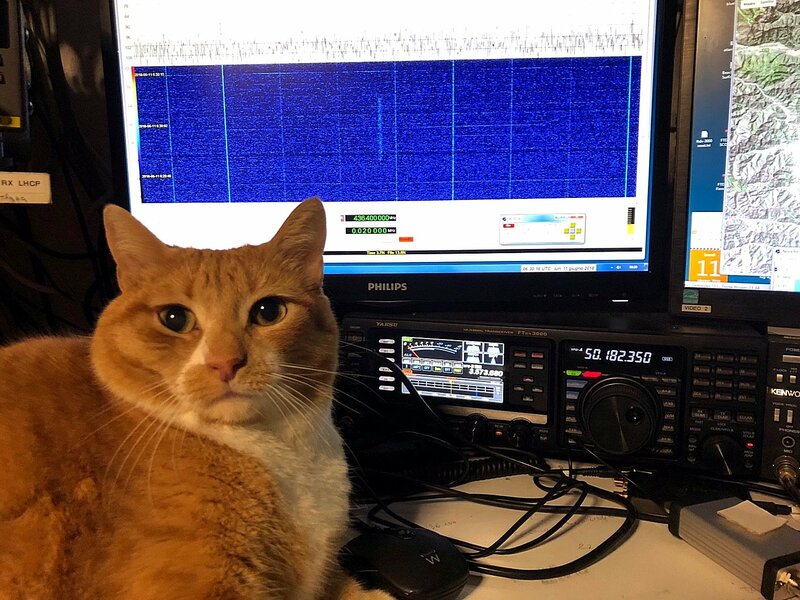 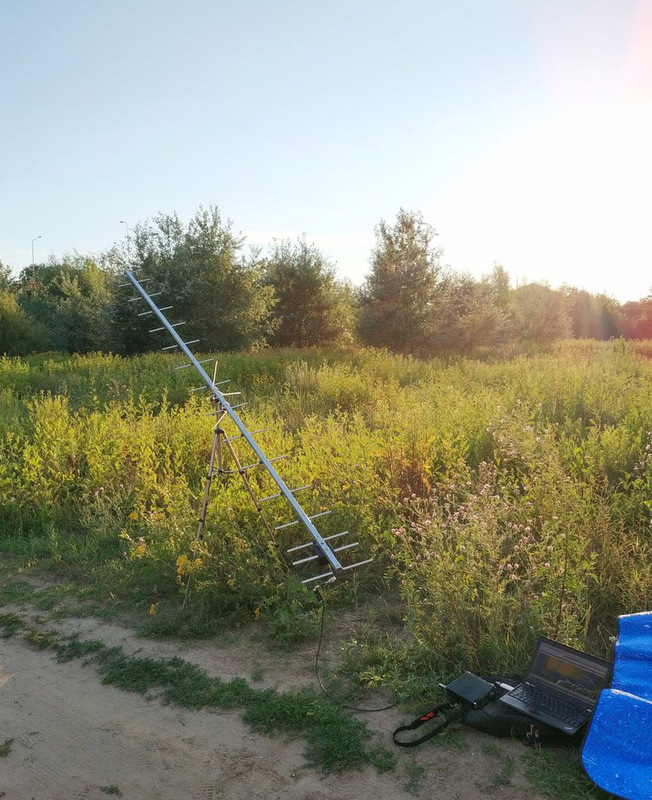 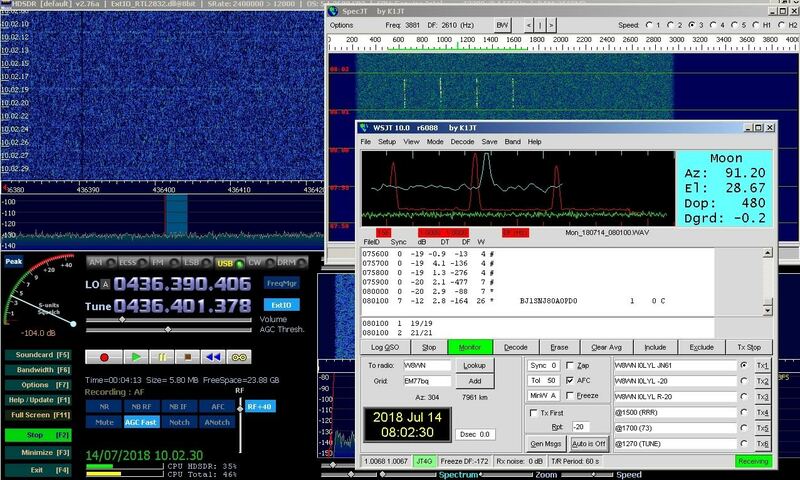 16 Jun: Successful GMSK decoding with RTL-SDR, JT4G decoding not successful with TS-2000 and WSJT 9. 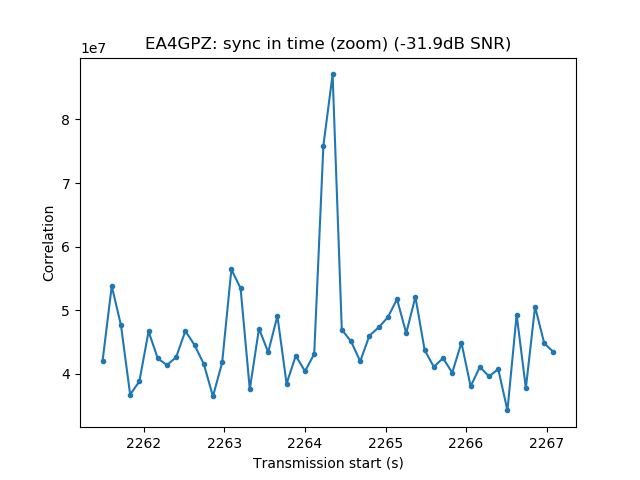 19 Jun: B0 JT4G not successful because of large frequency offset, but SNR should be enough. 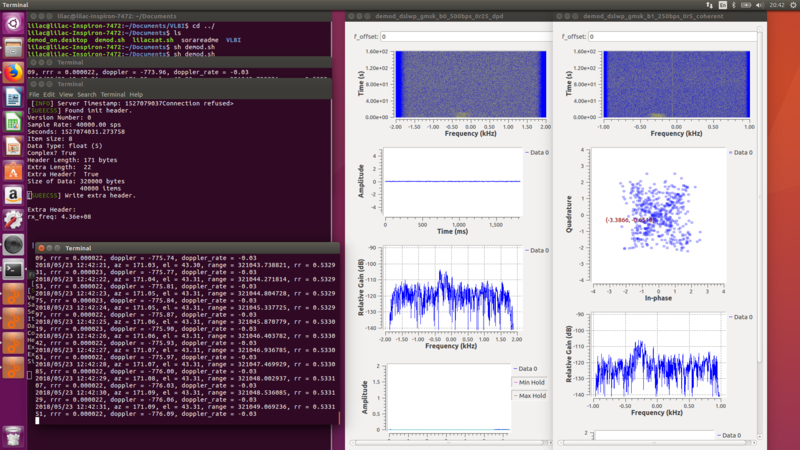 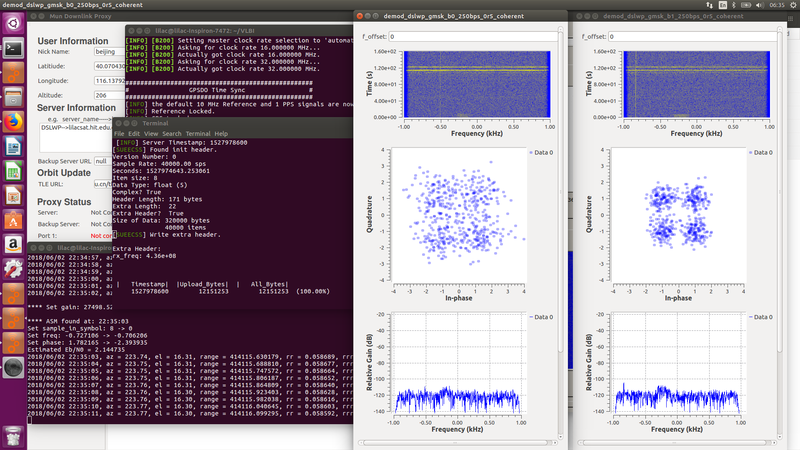 Successful B0 GMSK decoding after frequency offset fixed. 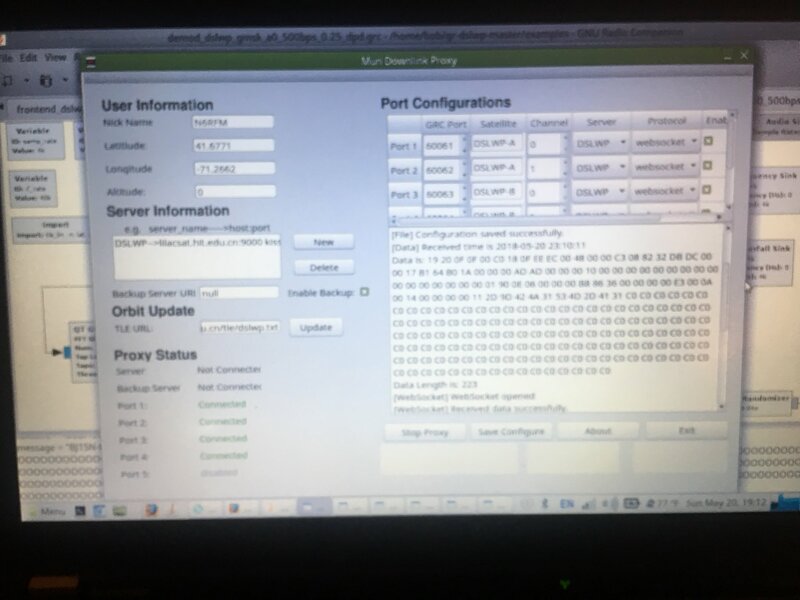 Great thanks to Mr. Ma BG2KAJ, Prof. Akiyama, Mr. Kishiura JH3NYP, Mr. Morita JA3RVS and Mr. Ishihara JH3BUM! 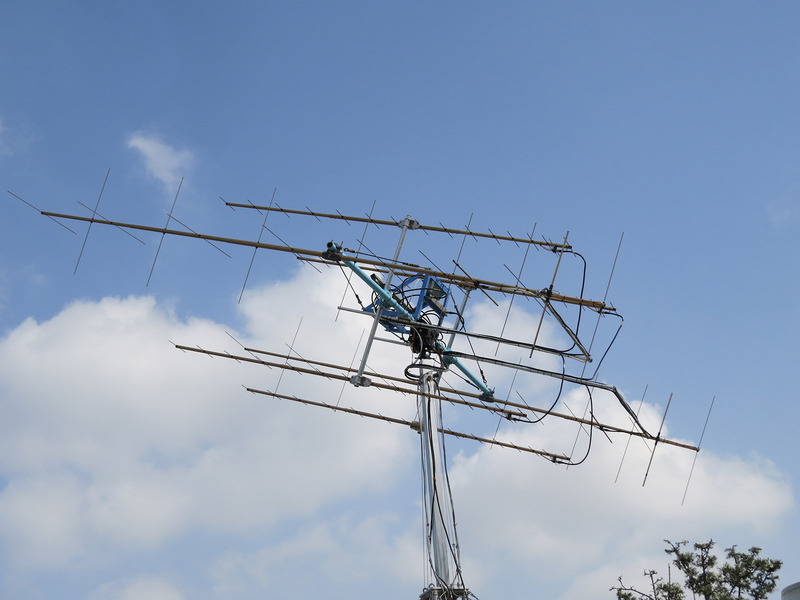 29 ely agi antenna, 20dBi,linear pol. 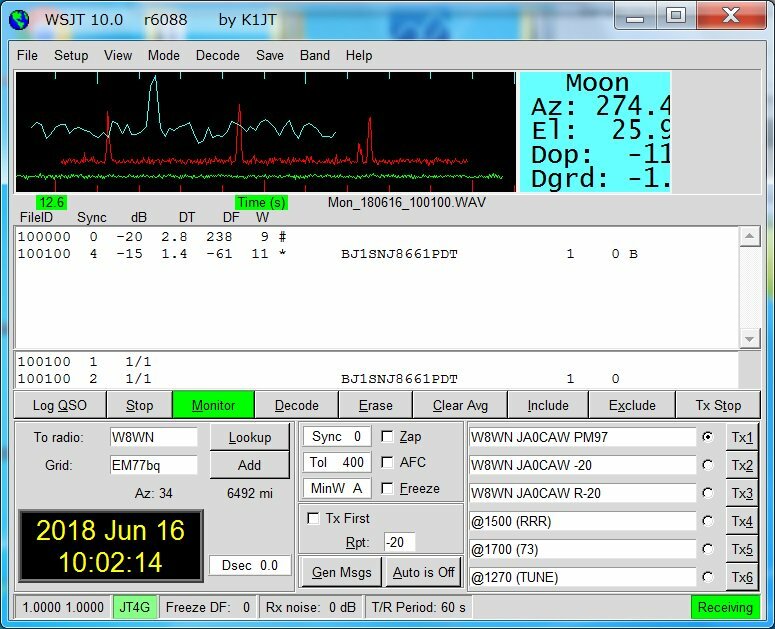 Jun 23: Moon at 60°. 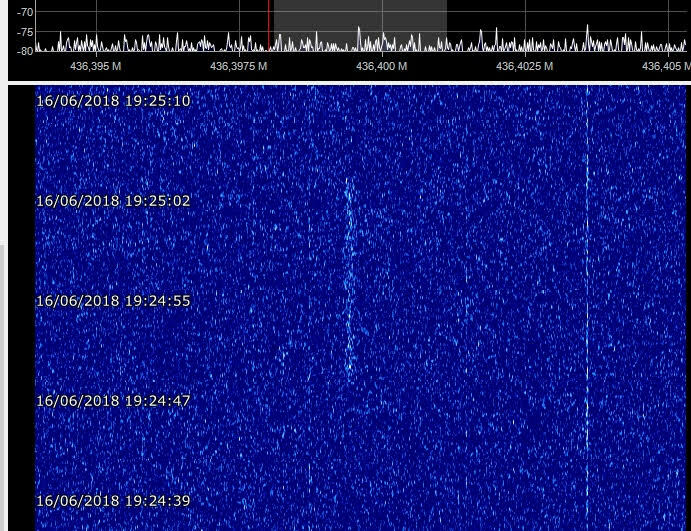 Found trace on waterfall but no trial to decode. 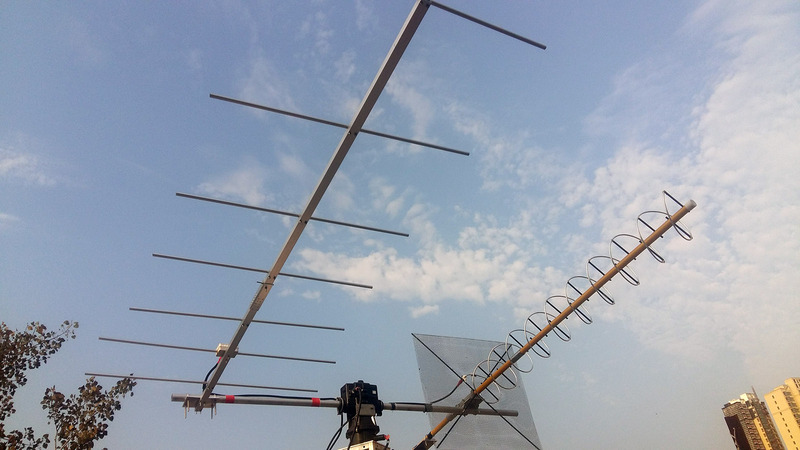 Great thanks for the continuous idea and support!